No more wasting money on expensive writers. Paraphrase or Create Unique & Readable Content In Seconds With Just One Click Using Clever Spinner. You probably know how expensive or time consuming is to paraphrase/rewrite or create quality content. In the past, you could pay a writer (expensive), write it yourself (time consuming), spin an article manually (time consuming & boring). Today, you can quickly paraphrase & create content with Cleverspinner without paying expensive writers. It is a unique web-based article spinner that is able to rewrite your articles automatically on word, phrase and sentence level with a similar quality as a content writer. It understands text as a person thanks to the artificial intelligence it uses. It rewrites your content on word and sentence level, making it unique & readable and it takes a short time to spin/rewrite an article. Therefore you can have enough content for your money sites, backlink campaigns (best links are contextual), pbn sites, guest posts, ebooks … you name it. More content means more money – because with more content on your site you get better rankings & more traffic and/or more articles to sell and/or more backlinks. 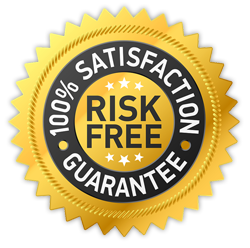 Best of all, we offer a 3 day free trial which gives you instant and full access to it for 3 days with no risk and no obligation to continue. It always chooses correct synonyms – because it undestands both context and the meaning of words in text. It also rewrites sentences, lists and complex phrases. Therefore the content it produces is not only 100% readable but it also passes copyscape. Unlike other tools it is a simple to use – just paste article click a button and it’s done. It rewrites a 500 word article in just few seconds, since it is coded efficiently. It is the an inteligent software, than won’t cost you an arm and leg. You can test the software for free for 3 days with no obligation to continue. The free 3 days trial gives you instant and complete acess to all features of the software in seconds. It rewrites words, phrases, sentences, lists and complex phrases. since it understands structure of any sentence and gets the meaning of its words. Have you ever feel frustrated when you tried to auto spin article in your spinning software and you got output text which didn’t make much sense. And you had to redo most of the words manually, waste a lot of time and you got completely bored? I did, and this is one of the problems this software solves. Most article rewriters and paraphrasing tools often choose synonyms that make no sense. It is really boring and time-consuming to remove them manually. CleversSpinner chooses correct synonym based on both context and meaning of the words. Therefore in the majority of cases the synonyms are correct. It rewrites sentences and complex phrases making the article even more unique. The software has literally turned the sentences upside down but it still makes perfect sense and is 100% unique. Each synonym Cleverspinner selected is correct. The sentence rewrite doesn’t look like original sentence, but the meaning is the same. Clever spinner is also able to rewrite lists. Reordering the list makes the sentence unique. This is the best way to paraphrase a list. It is smart enough to determine that “last year” is an adverb of time, and it can be moved to the beginning of the sentence. It also turned the first part of the sentence into a passive form. It can, of course, turn sentences into their passive forms. It is so accurate because it knows the function of each word in the sentence. A more complex sentence, turned into passive form. It also gets that “John and Jane: can be written as “Jane and John”. All these things together Clever Spinner makes the text a lot more unique. after that $9.90/month unless you cancel (using a link). Cleverspinner automatically rewrites your articles on word and sentence level. It chooses only highest quality synonyms. It also rewrites lists and complex phrases. Your content is spun automatically in just a few seconds and is of a similar quality as if it was written by a human. You probably see how this can save you time, money and nerves. 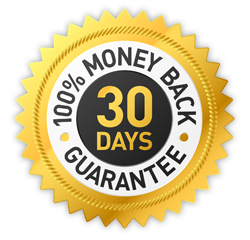 30 Day Satisfaction Guarantee – if you are not satisfied you get your money back without question asked.